One of the central ideas of our nextgis.com Web GIS is acting as a geospatial data hub of your organization. This is why it is so important for us to support different scenarios of integration between your main web site and Web GIS. 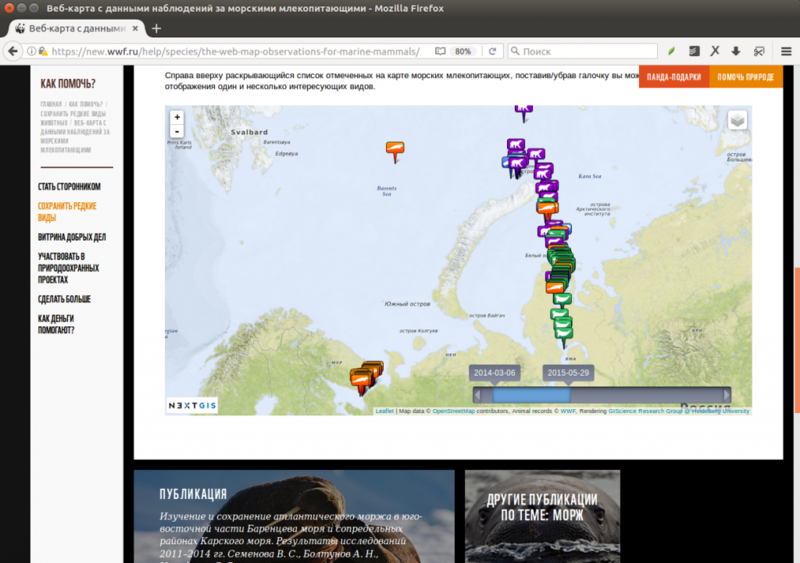 Let’s have a look how Barents Regional Office of WWF-Russia uses different kinds of integration to show different maps and data layers on it’s website all sourced from Web GIS. 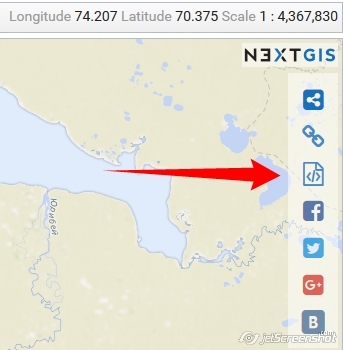 All web maps created in nextgis.com can be easily embedded in your website. Simply open a map, select “Share”, set it up and copy/paste resulting HTML code into your website page. 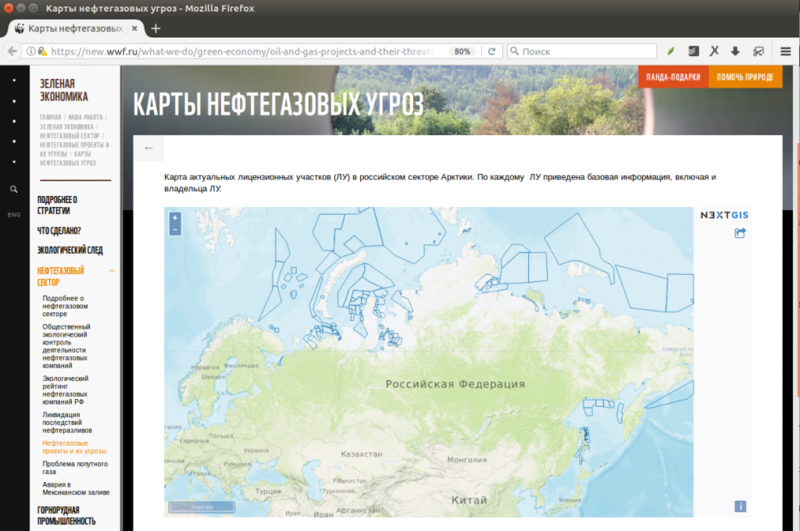 Here is how it looks at WWF website for a map of licensed plots in Russian Arctics. 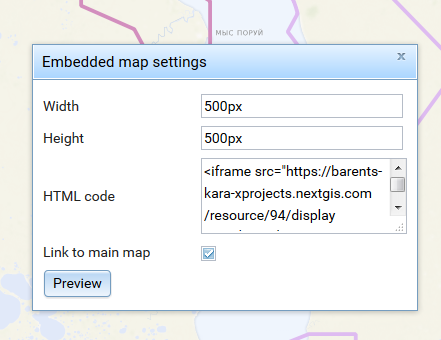 All embedded maps are interactive, so you can click on features and get more information. All controls of the map are our standard. Web GIS purpose is to integrate data. But sometimes you might want to take one of the data layers and put it on the website with custom user interface, redefining standard controls. You’ll need some programming for that. As we can see there is a custom legend, redesigned information windows and other control elements. 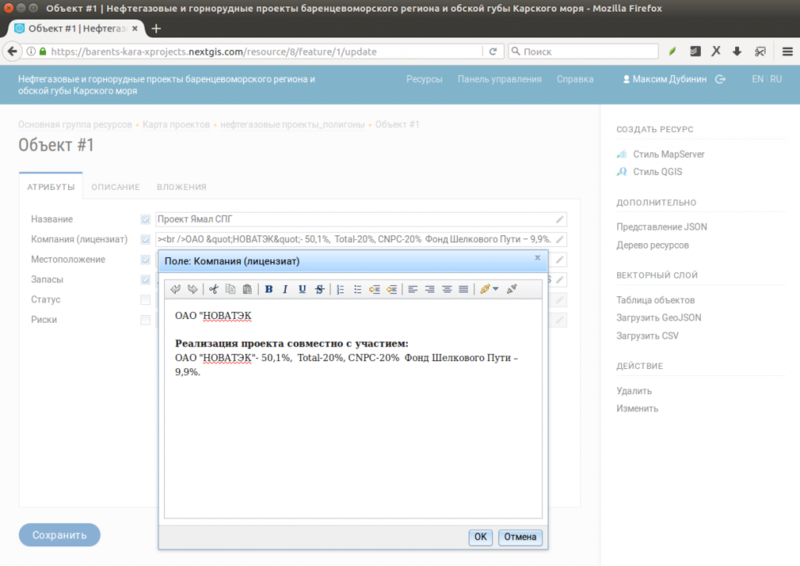 To use this kind of integration you’ll need nextgis.com Mini or Premium subscription to turn on CORS. You can grab source code of the map above from Github. The approach above can be used to enhance Web GIS toolbox. In the next example a map of Marine mammals locations also stores data in Web GIS and adds a completely new tool – time slider. This instrument is yet missing from standard Web maps, but it doesn’t mean you can’t use it. Finally, you can edit all attributive data on your maps directly in Web GIS using convenient visual editor. These are the examples of pretty simple maps that can be added with little or no programming. But user interfaces that employ our Web GIS as a backend can be much more advanced.